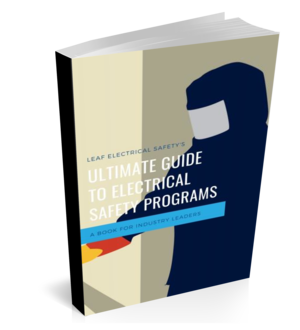 Even if you are not an electrical worker, understanding these signs of imminent electrical failure could be the difference between going home safely or going to the hospital. In an industrial facility, almost all of the equipment has electricity flowing through it or running close by in cable trays. If you put you hand on a piece of equipment or a metal enclosure and feel a mild tingle, then that is a sign there is current leakage in the system. Over time this could get worse and worse and it won’t be long before that mild tingle becomes a deadly shock. Sometimes you may be required to go into an electrical room to do a lock-out or check on an alarm or maybe you are just doing some general cleaning. If you hear any unusual sounds coming from the electrical equipment then you need to get out of that room immediately and contact an electrician to investigate. Unusual sounds would be intermittent cracks, sizzles, and buzzing. These are signs that something may be ready to explode. A consistent low humming sound is quite normal in an electrical room and not a cause for concern. When you are in close proximity of electrical equipment and you can smell a burning odour chances are the insulation on the conductors is overheating. This is usually caused by loose connections and if things get too hot it could cause a fire. A great way to check for this by thermal imaging with an infrared camera. In order to do this, you will need to open up the equipment so make sure it is only done by a qualified person. If you are using hand tools and they are hot to the touch or even the wires, cords, connections, or junction boxes are hot to the touch then you are getting dangerously close to starting a fire. Take a look at the rating on the tools and make sure that all of the components in your circuit are rated accordingly. Also, it is a good idea to inspect all the connection points and wires to ensure they are in good working condition. Any loose fittings or wires could cause overheating and also pose a shock hazard. Another task that can be very dangerous is digging in close proximity to buried electrical cables. If done correctly the cables should be marked with a layer of warning tape about 12 inches underneath the surface of the ground. If you ever accidentally uncover anything that looks like it could be warning tape then immediately stop what you are doing and notify the proper authorities. They should be able to locate any buried electrical lines and mark them for you. A good practice is to have the lines located and marked prior to ever starting any job that requires digging.